We all decided to move back home to Ontario: 12/25 Part Series. We enjoyed many Tim Horton pit stops along the way. 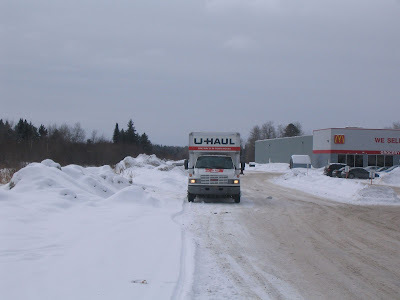 You be surprised how many Tim Horton coffee shop there were during our big move from Winnipeg to Ontario. Of course you would believe me as you hold your Tim Horton's cup in your hand. Moving Tip #12: Go to grocery stores to pick up fruits and snacks that are easy to eat in the car. It was too cold out for us to be eating picnic style anywhere but we snacked as we drove.